The pronghorn is the fastest land mammal in North America. It can reach speeds of up to 60 miles per hour! Even more impressive, the pronghorn is built for endurance, and can run at 30 miles per hour for several miles. Cheetahs are the only animals that can run faster, but they can only sprint at top speed for a short distance before getting tired. These are some of the surprising facts kids will discover as they learn all about these endurance runners. 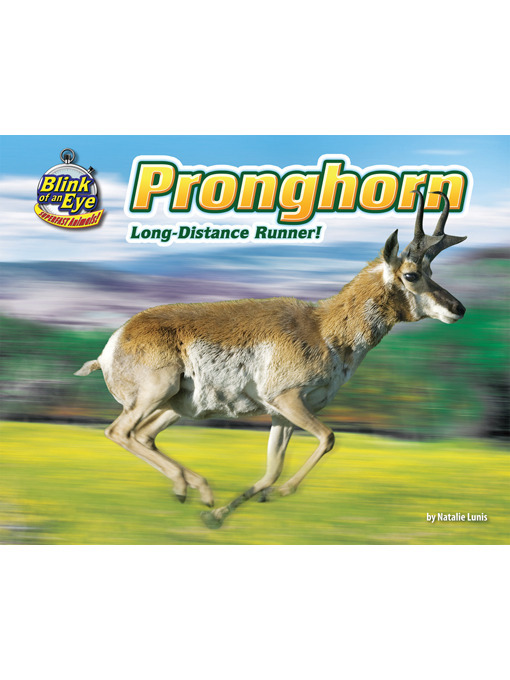 Eye-popping photos and clear, easy-to-read text will engage emergent readers as they discover the anatomical features that help pronghorns reach fast speeds. A "Speed-o-Meter" graphic compares the pronghorn's top speed to that of other animals. Publisher: Bearport Publishing Company, Inc.